Bacteria Boy's mission is to infect as many healthy baby teeth (Deciduous Dudes) and disease-free molars as possible... turning them into Zombie Teeth. He lures them in with candy and treats, gobbles them up, and then spits them back out as Zombie Teeth - yikes! Molar Towne's Zombie Teeth can be seen wandering aimlessly through the streets and parks of Molar Towne, looking for more healthy teeth to infect. The Zombie apocalypse continues on as infected teeth tempt others with candy and sweets that are tainted with highly toxic amounts of sugar. 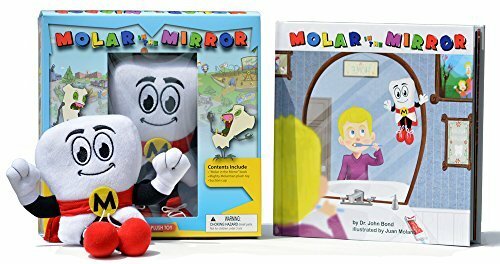 The only way Zombie Teeth can be revived and transformed back into healthy teeth is when Mighty MolarMan and the Molar Rescue team come to their aid! Together this forcefield team has the power, tools, and technology to help restore the infected Zombie Teeth, and bring them back from the dark side.